Davies Strawberry Creams, made with the finest strawberry flavoured fondant, are enrobed in rich dark chocolate. 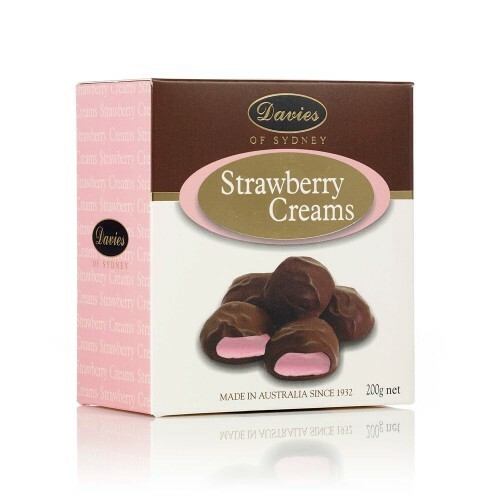 Take our word for it: they taste just like real strawberries! 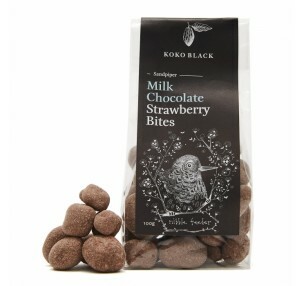 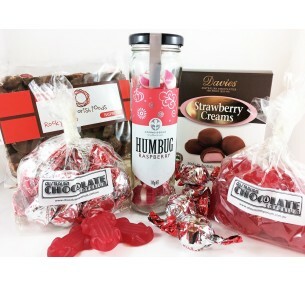 The Very Berrylicious Gift Hamper with make any occasion so much rosier: Raspberry Rocky Road ..
Koko Black's Strawberry Bites are made with dried strawberries enrobed in premium Belgian milk c..
SOLD OUT! 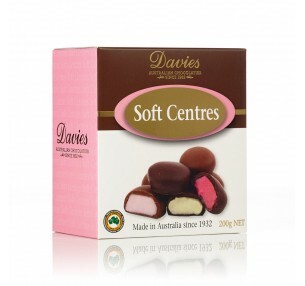 Davies Soft Centres Box consists of an assortment of fruit flavoured fondants enrobed i..